To be a baby aboard a Dutch bike is truly to be king of the world. This entry was posted in cycling, Dutch Bikes, Dutch Cycling, Freedom, Kindermoord Campaign, Safer Cycling, transport, Uncategorized, Urban Cycling and tagged dutch bikes, Happy babies, Music Video. Why should non-cyclists support measures to boost cycling? This article (Kaya Burgess – The Times) describes the multifarious benefits of investment in cycling for all sorts of different groups in the UK. In what follows below, I intend to summaries and illustrate just a few of these benefits. People who commute by train and by bus will also benefit if more people took up cycling, as the intense pressure on the public transport system would be eased. As child obesity soars in the UK, parents and children will benefit from better infrastructure as cycling to school becomes an option again. 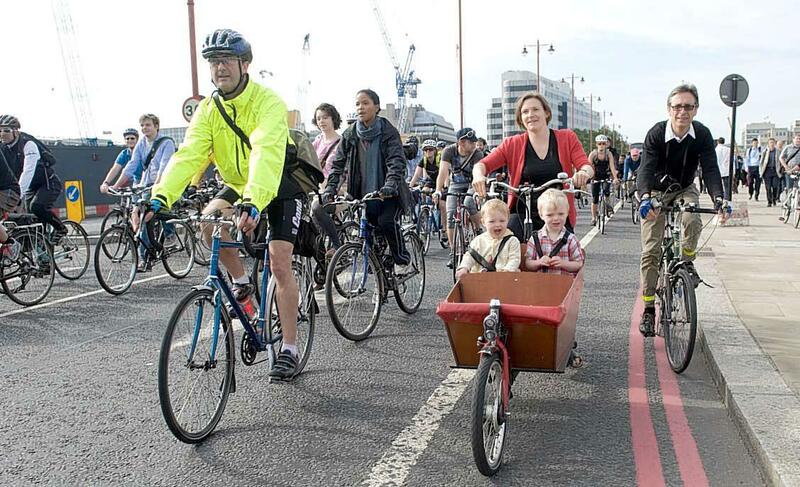 The more people who cycle, the safer the streets become, and thus more people will be encouraged to take up cycling . With more than 2/3 of car journeys in the UK being less than 5 miles, most of the driving that people do is completely unnecessary anyway. 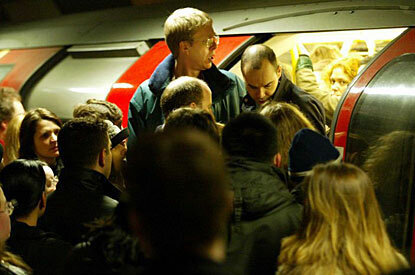 The school run needn’t be the stress that it has become. 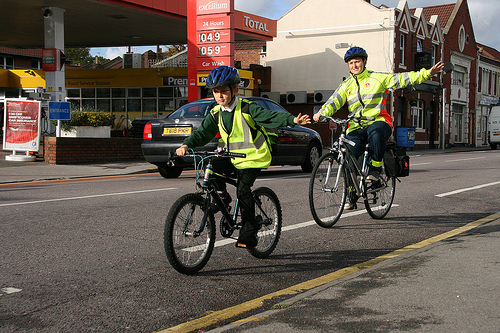 Cycling to school: is this really so radical? Ordinary adults will benefit from the regular exercise as well. Official advice recommends taking 150 minutes – or 2½ hours – of physical activity per week, but we do not always have the time – or inclination – to get down the gym or go for a jog after a long day or long week of work. Building cycling into a person’s daily routine is a brilliant way of nomalising the activity and incorporating exercise into their lifestyle. The Dutch have shown us how cycling can be the most normal thing in the world – it definitely doesn’t have to involve extreme exertion or specialist equipment. These people aren’t even close to breaking a sweat. Taxpayers will also benefit from investment in cycling. The NHS spends around £5 billion each year on tackling preventable diseases exacerbated by inactivity, including type 2 diabetes, heart disease and strokes. Around £16bn is currently being spent on the Crossrail project in London and a further £3bn on upgrades to the A9 road in Scotland. Health experts told the Get Britain Cycling inquiry that investing in cycle provision is by far the most cost-effective form of transport spend, recouping £4 in healthcare savings for every £1 invested. Investing in cycling is also good for businesses and employers. Not only does a manager get a healthier and more alert workforce, but research in New York has shown that the introduction of cycle lanes led to a 49 per cent increase in retail sales. In terms of parking, bikes take up a lot less space than cars, so it follows that bikes can carry more potential customers than cars can. 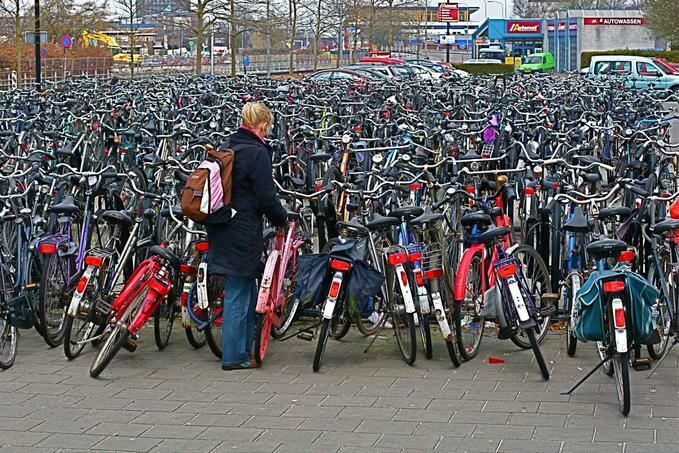 Can you imagine how much space you would need if all these bikes were cars? The fact that drivers can no longer find parking on their high-streets has led to the death of many local and independent businesses. As a final point, the article notes that cyclists would also benefit from improved cycle infrastructure. It might seem like an obvious point, but around 2 per of traffic on Britain’s roads is made up by people on bikes, and as this figure grows the infrastructure will need to grow with it. For instance, of all vehicles crossing bridges over the River Thames in London at rush hour, more than half are bicycles – in spite of this fact the cycle lanes (which are shared and often blocked by buses) are at best only a third of a lane in width. It really is time the Government took cycling seriously. This entry was posted in Alternatives to Cars, Bike Lanes, City Planning, Commuting, cycling, Cycling Infrastructure, Dutch Cycling, Dutch Cycling Infrastructure, Legal Issues, London, Politics, Safer Cycling, transport, Uncategorized, Urban Cycling. 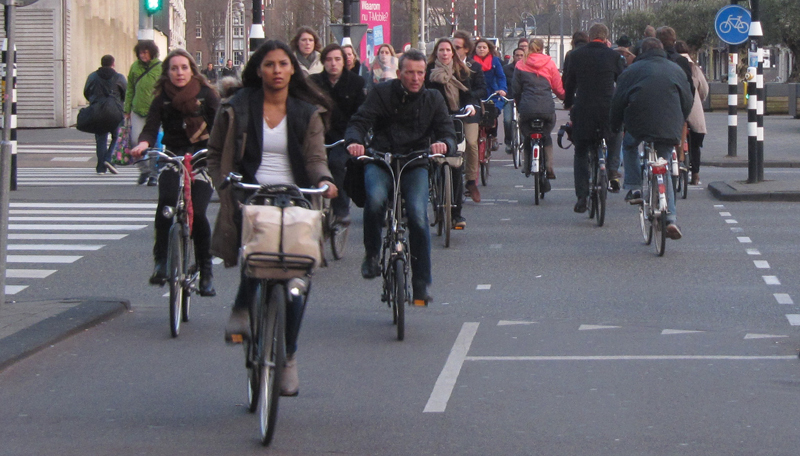 People in The Netherlands who ride bikes aren’t typically the same breed as the ‘cyclists’ of the UK; they’re just ordinary people who happen to ride bikes because it makes the most sense. This short video contains some really rather ordinary footage of people riding bikes in Amsterdam. However, the video quality, editing, and backing music are all superb. Oh, and the fact that there is hardly a car in sight, that’s also superb. 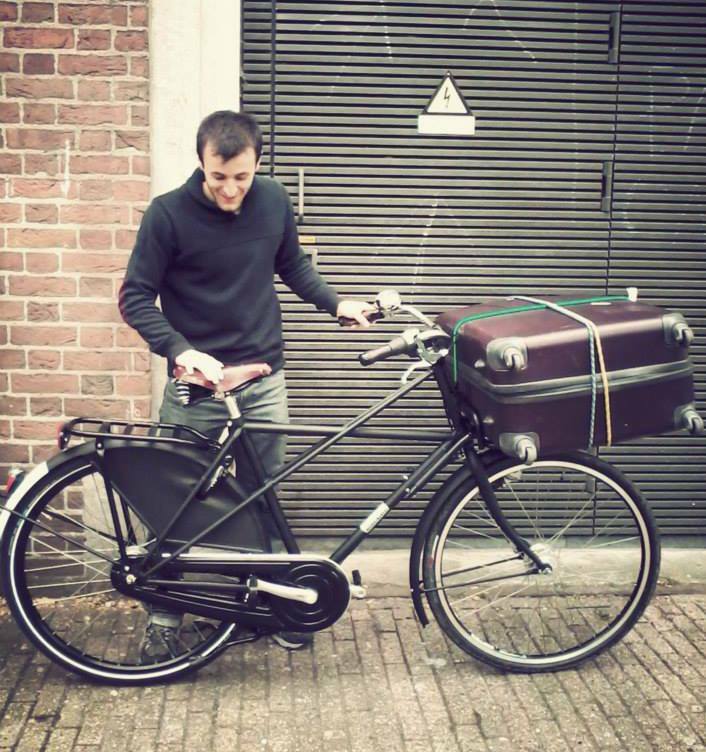 This entry was posted in Uncategorized and tagged Amsterdam, cycling, dutch bikes. An old psychology test seems to have been re-appropriated by TfL to show people how easy it is to overlook something that should be obvious. This entry was posted in Uncategorized and tagged Awareness, cycle safety, driver awareness, TfL, UK cycling. Transport Planners please watch this. The video shows some pretty dangerous situations that cyclists in the UK have to deal with on a daily basis. Although the examples are pretty shocking, they are far from unusual. I think the video speaks for itself and calls for better infrastructure to protect the most vulnerable road users. The guy in the last shot was actually riding on one of London’s cycle super-highway, and clearly shows how a dab of blue paint on the road does nothing to protect people on bikes. Look here to compare with how the Dutch deal with HGVs. This entry was posted in Commuting, cycling, Cycling Infrastructure, Strict Liability Laws, transport, Transport for London, UK, Urban Cycling.